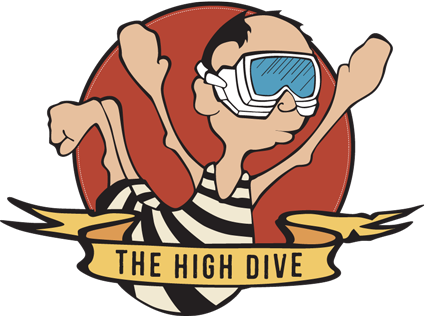 This is the High Dive Blog, where we dish out awesome information about craft beer, our rad events, and the best food in town, served right here at the high dive!! Take Thanksgiving to The High Dive this year! Thanksgiving is a time to be thankful for what you have in your life, so why not spend less time stressing about the cooking and more time enjoying your company? The festivities kick off with breakfast on Thanksgiving Eve 9am-12pm and continue for an all out bash. Then join us Thursday November 24th from 9 am to 9 pm for a traditional Thanksgiving meal for only $15. Not with your family this year? Grab your friends and get the group together to celebrate Friendsgiving at your favorite dive bar! Many San Diegans make Thanksgiving at High Dive their tradition and we’d love to have you join us as well! We will be serving beer brined smoked turkey breast and brown butter mashed potatoes with turkey gravy. We will also have Corn on the Cob, Stuffing, Cranberry Sauce, green bean casserole and a traditional bread pudding. Everything you need for a delicious, low-stress Thanksgiving Meal. Grab your favorite company and meet us at the High Dive! © 2019 High Dive San Diego.